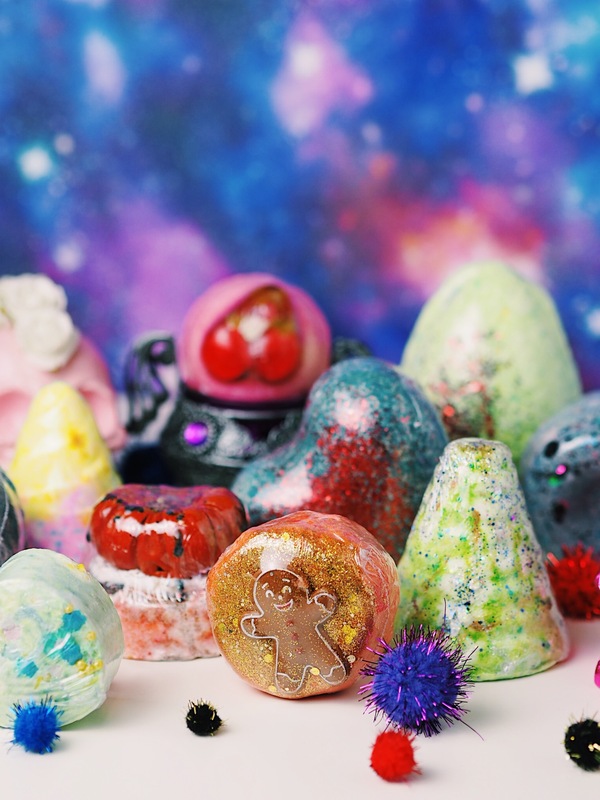 Posh Brats Haul: The Gothic Goods! A little bit of everything blogger. Part 2 of my Posh Brats haul today. There are a few gothic-inspired bombs but not all of them are (sorry for the half misleading title, a girls got to create something catchy). There are some seasonal themed and some that didn’t really fit in the last post so I’ve popped them in here. As I said in my last post, some of Posh Brats stock is seasonal and their availability is obviously dependent on what they’ve been making. For this reason you may not find some of these bits on their website all year round but I’m sure if you see something you like you can give them an email and they’d be happy to help you out in any way they can. The scent of this one is very dark and rich containing blackcurrant, sandalwood and black vanilla. The appearance of it of course reflects that. 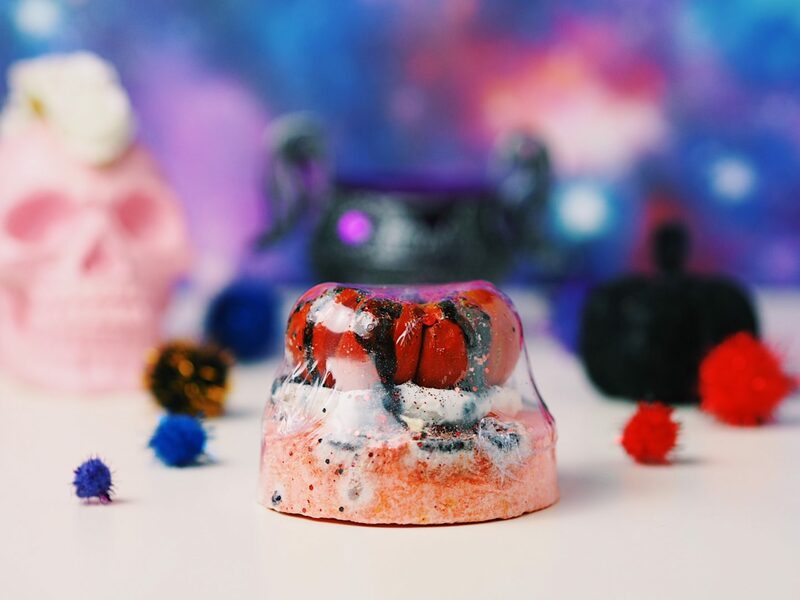 The actual base of the bomb is marbled lilac and a very dark grey and inundated with red glitter. This is for sure the spooky sister of the Violet Marshmallow Mega Heart in the first half of my haul. It’s pretty obvious what the shape of this bomb is – A CHRISTMAS TREE. How adorable. It’s got lots of sparkles and glitter all over it, specifically concentrating on the tip as that’s where the star’s supposed to sit. The scent is very festive and genuinely reminds me of walking through the Christmas market. The website promotes it as freshly baked ginger cookies with mulled spices which I’d say is the perfect description. 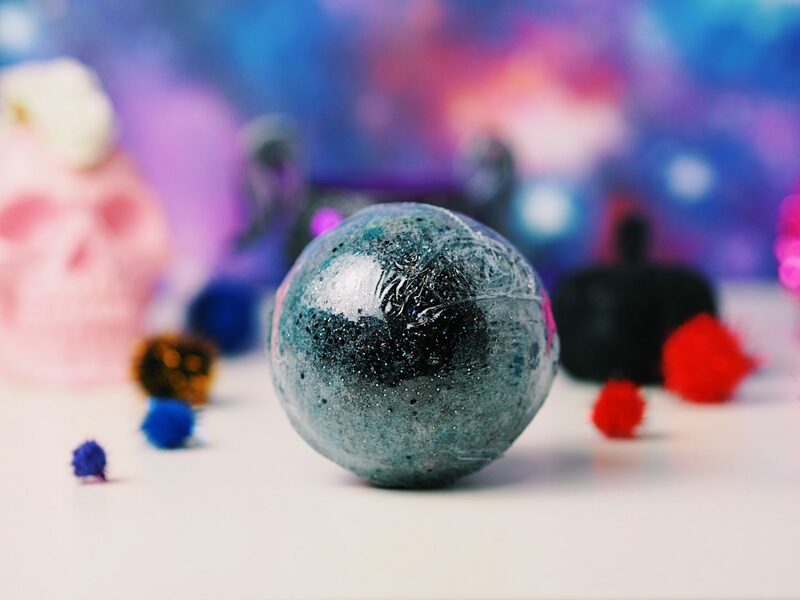 Another bubble bar and despite it’s small size, it claims to accommodate for 2-4 baths. Just as you’d expect, it’s full of sweetness and spice containing scents such as vanilla, nutmeg, cinnamon and ginger. The heaving sprinkling of glitter and little guy on the front is adorable too but I can’t make out what exactly he is made out of. Either way, I’m sure it’ll create fabulous bathing experiences! I think this wins the award for most intriguing out of them all. It has a sticker on that says “warning, quarantine area” and the name of it contains the phrase sea jelly so I do wonder what it’s going to create when used. I will definitely let you guys know on my social medias if you’re interested. 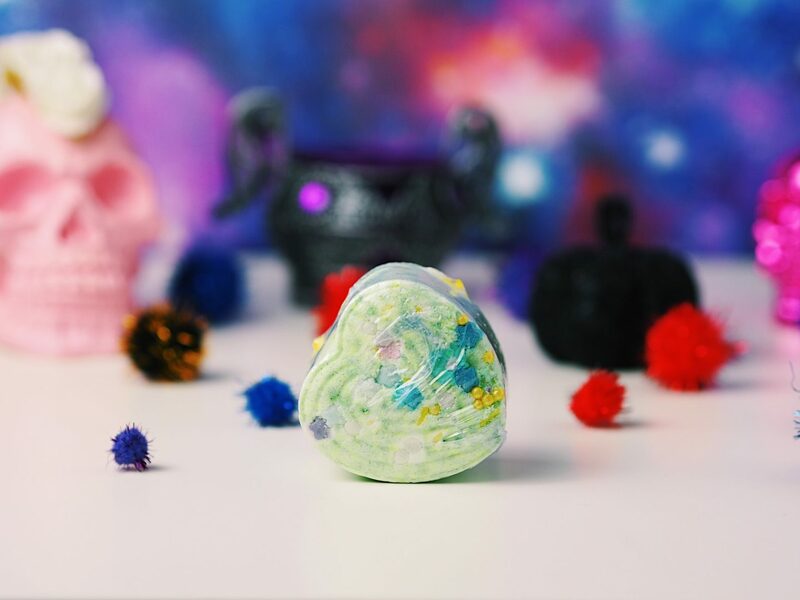 It’s an actual authentic voodoo scent blend to bring you luck and protect you which is pretty cool! A very dark and exotic scent containing frankincense, myrrh, resin and light floral hints. I am SUCH a huge fan of sweet scents and cherry flavours so it’s no surprise that this bomb really makes me happy. 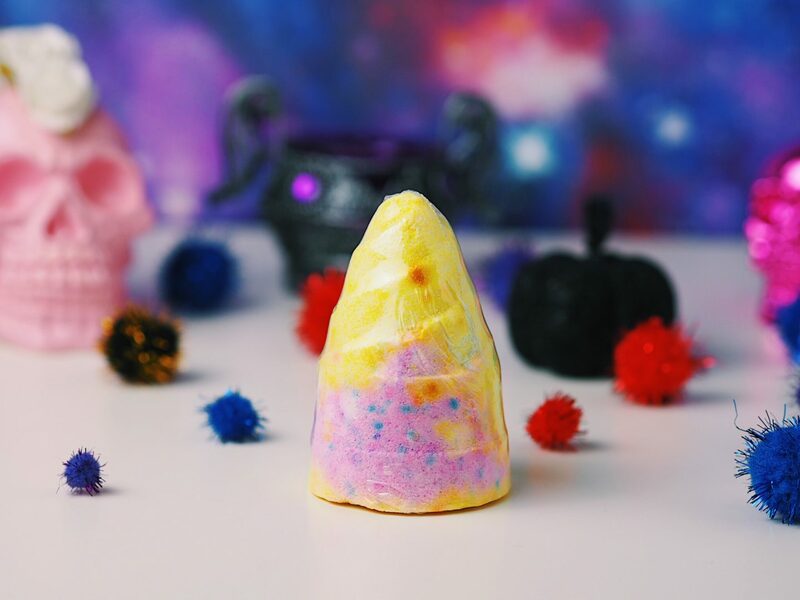 Sweet almond is one of my all time favourite scents, flavours and ingredients in products which is really typical as my best friend is allergic to them. Cherry and almond work a treat together and this bomb definitely proves it. I’ve been a fan of Yankee Candles Lemon Lavender scent for as long as I can remember so seeing this made me really excited. Lavender is one of my favourite scents now and mixed with citrus it’s a dream. It’s surprisingly still a pretty calming scent and of course is made with the colours purple and yellow. I’m not going to lie, when my parcel arrived, I did wonder what the hell this one was. 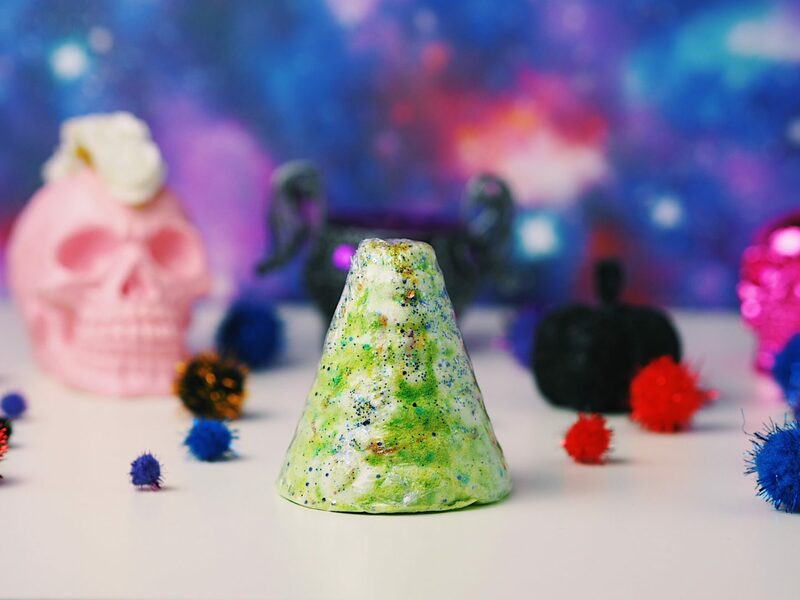 Obviously Halloween-inspired with its design and scent, it exudes citrus, creamy, spicy and sweet aromas which is nothing short of a wonderful creation. 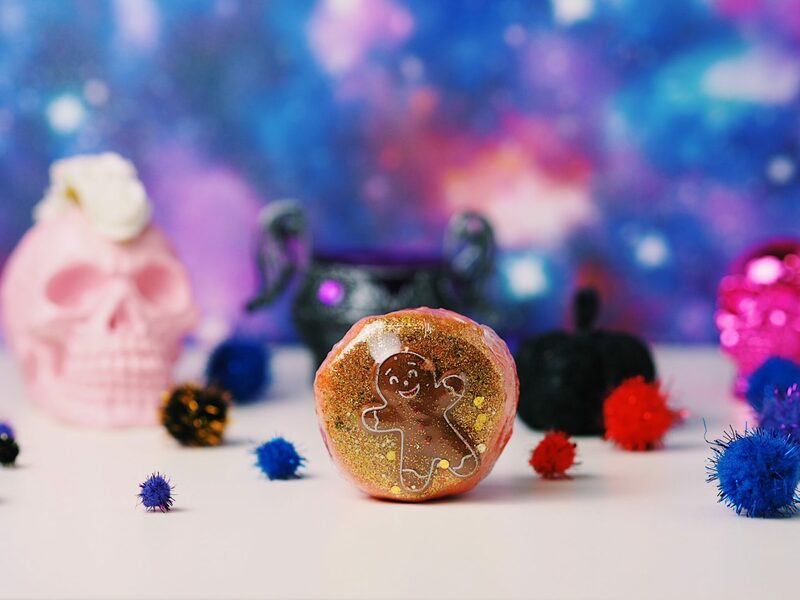 It took me ages looking at and squeezing this bomb to try and figure out what the little pumpkin on top was made of and it turns out it’s actually a REAL dried mini pumpkin!? This did puzzle me as well as make me giggle. I will definitely update you guys on what happens to it in the bath as to be honest I’m a bit apprehensive. This thing is the literal size of a small easter egg and as it isn’t hollow, it’s pretty damn heavy. I really love the scent of this one, it’s very sweet and apple inspired and the colours red and green match that perfectly. I do wonder whether the whole thing would dissolve in one bath but either way, it’s going to be a fun one to use. 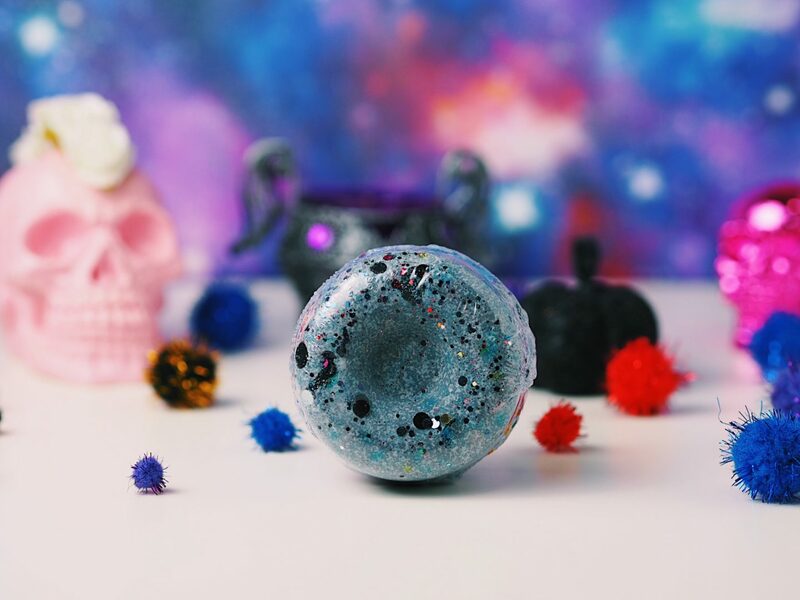 This donut bomb holds a rich, exotic and night-inspired scent including a hint of spice. 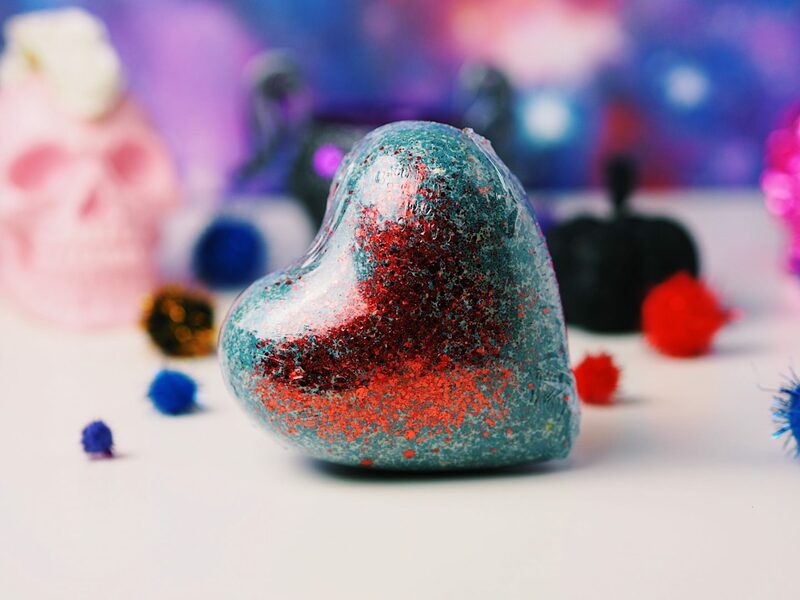 With a sprinkle of glitter and its marbled effect paired with its name, this one really does scream gothic. 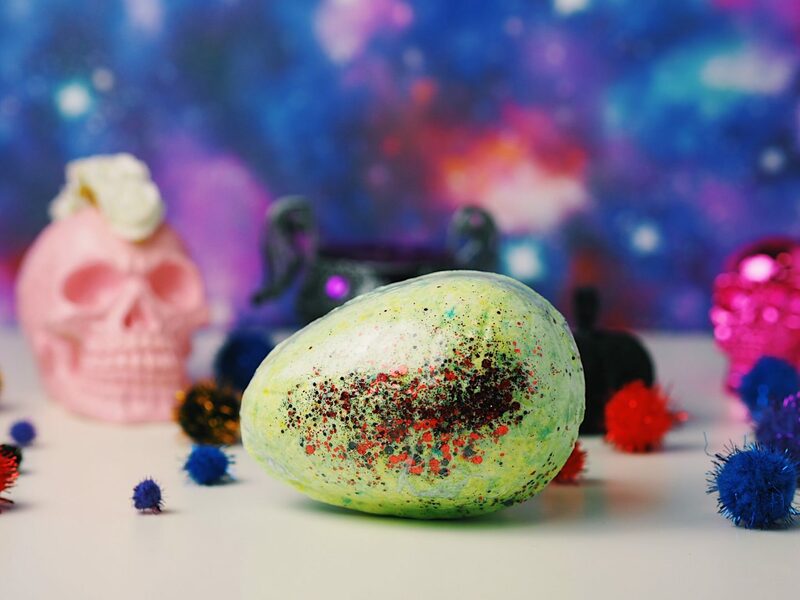 Although not super colourful, bright or extremely visually exciting, this is definitely one of the bombs I’m most looking forward to using because of its potential to turn the bath black! This just looks like a mini Christmas bomb to me with the green base and all the cute and sparkly decoration on it. I definitely wouldn’t say it smelt Christmas-like though as it’s a very sweet and fresh scent reminding me of Spring. Specifically with head notes of apple and pear with floral undertones and creamy vanilla. As I said in my last post about the fizzy hearts, these would be a perfect little stocking filler! Well that’s the end of my Posh Brats haul. I doubt I’ll be doing any more hauls any time soon as it’s Christmas shopping time now! 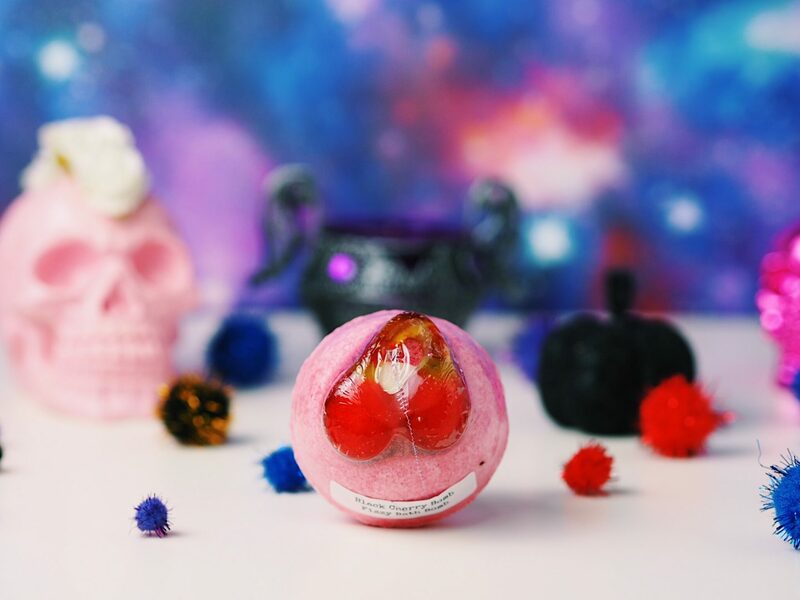 Will you be buying any bath products as gifts this Christmas? My Top 10 The Body Shop Products! "Posh Brats Haul: The Pretty Purples and Pinks!" "5 Things I’ve Learnt In A 5 Year Relationship!" These are so neat and fun! 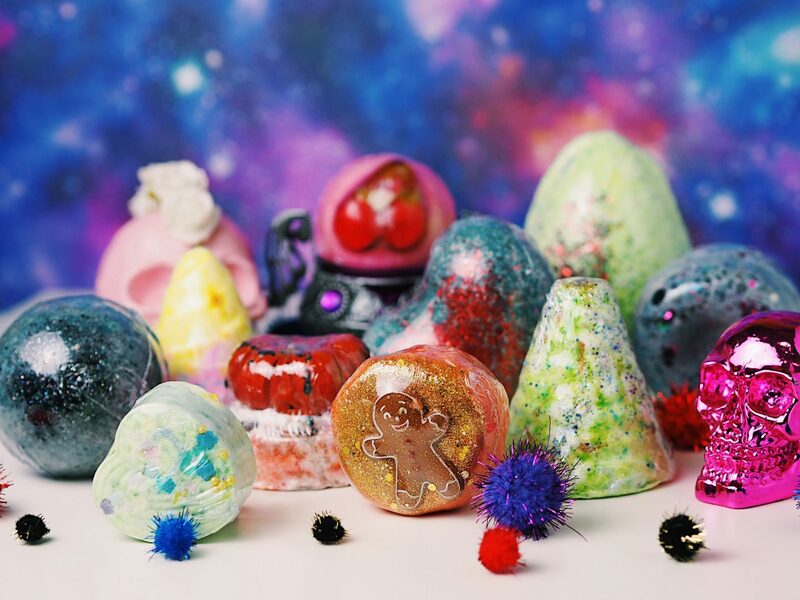 I love the design and scent combinations of some of them and will definitely have to check them out! Oh my I love the sound of all of these! Haven’t heard of Posh Brats before but I’m now intrigued. Some of these aren’t that easy to tell what they are. I’m intrigued for the Pumpkin Fizzy Cake, that’s definitely interesting! You have to tell me what it’s like in the bath. The gingerbread man is soooo cute i love it! Subscribe To Follow Black Tulip Beauty! Sign Up To Our Mailing List & Newsletter! Subscribe to Black Tulip Beauty!